Leek is pretty much on my doorstep so I was thinking of going along later. It's a lovely little town too. Looks like Rankin-Costello had a good game tonight. Anyone got the line up, score, quick how we did ? Score? Report? Any more news? Won 4-1, Rankin-Costello brace, Vale and Carter with the others. Another 90 under his belt for Chappers I believe. Was only following twitter updates but he seems to be imposing himself more each time he plays. He sounds like he's capable of making the bench for the first team now. Not sure if TM is being sensible or a bit mard with him but personally can't wait to see him back running at defenders. 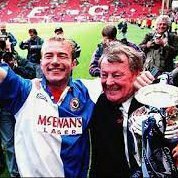 Sharpe tweeted that Rovers need to give Rankin-Costello a new contract, his current expires this summer. 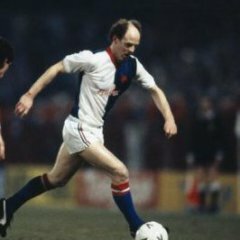 Word is one who played tonight will be on the bench tomorrow, probably either Doyle or Buckley. I think I read that Buckley was the "19th man" on tuesday. Good. Better to have 7 subs rather than 6, even if it gives the young lad experience in being a member of the matchday squad. He was, and think it might be him who makes the bench tomorrow, classy player. There is absolutely no point in playing Chapman in this first team this season. There would be more value in blooding some of the youngsters. A few years ago, Bowyer had the opportunity to do so and didn’t take it. What will Bowyer do...? Crimes. I can’t believe I did that. Bowyer and Mowbray don’t spoil a pair though! They are virtually anagrams of each other!! A few years ago, Bowyer had the﻿ opportunity to do so and didn’t take it. What will Bowyer do...? Why is there no point in playing Chapman? A good win tonight but the game was closer than the 4-1 scoreline would suggest, particularly in the first half. Rovers started very well and were on top when they opened the scoring through Hayden Carter - who looks so much better at centre-back than as a wing-back or full-back. Then Stoke equalised and it became a very even game. In the second half we got on top and took our chances when they came. Joe's first goal was special - a really superb piece of individualism. Joe had an excellent game in his new attacking full-back role although I thought Charley Doyle was our best player on the night - really commanding at the back and a brilliant run to create the goal for Jack Vale. Chapman had a fairly quiet night, one or two moments but still looks off the pace over 90 minutes. He's getting there but still doesn't look ready for the first team. Interesting to see Tre Pemberton in the Stoke line-up - certainly hasn't lived up to the promise he showed as a youngster with the Rovers according to the Stoke fans we spoke to. Why is there not? He's 21 himself ffs - hardly a seasoned pro at the club. We know what he can do and we have nothing to play for. C’mon Dave, did you really need that explaining to you? Once he’s fit (how long is it taking, by the way, can we send him altitude training up Kilimanjaro or something?) get him in. Give the fans, especially at Ewood, a bit of excitement for once. Do you think Rankin-Costello are gonna play for the first team before the season ends? Actually, just checking now, Chapman never actually started a league game with Sheffield United in the season before his loan with us. Had a few starts with Barnsley the year before that, but a reminder of how raw he still is. Just a little tidbit, but I thought this was a nice insight into how a player like Graham can help the youngsters. They've got to be ready for blistering speed and players like Graham who will bully them physically if they're not ready for it. Looks like Lewis Hardcastle will be off to a conference team. Any thoughts on that, from those who have seen him far more than I have? I remember him being highly rated once. No shame in that, Raya’s last loan was at Southport. I was wondering about Hardcastle... sounds like he wasn't really given a proper chance at Port Vale, but if he has any prospect of Championship football in him, you'd think at 20 (turning 21 in the summer) he'd be able to bully his way into a League 2 squad. And then seemingly couldn't secure a better loan than the National League after that. Sounds like he's doing well with Barrow anyway, (and I'll admit I've barely seen him play! ), but wouldn't be surprised if he leaves given I think he's out of contract in the summer. How long has it taken Davenport?? Play Chapman, don’t play him. It doesn’t make a blind bit of difference this season. But the Championship isn’t like League One and we will be facing teams who do have something to play for. He isn’t the most robust of players (a reason not to sign him at all - and why Boro let him go after being there since he was 8!) although I suppose he has the Summer to recover if he breaks down again. He must not come back until he is absolutely ready. It's interesting to see that Rankin-Costello has been converted to a full back. Do you think that's were his long term future lies? Given that we are thin on the ground for quality full backs it's an interesting move. Our good friend Nicko : "Big Buzz on grapevine for Jake Garrett at BLACKBURN. Left back. Under 23s last night at 16. One to watch. And being watched"
To my knowledge Chapman hasn't played a competitive game for us in the Championship, did you really need that explaining to you? What a pointless comment, we know what most of the first team are/aren't capable of.